One side comment — for those of you who were able to see the “Moveable Feast” PNLA presentation by Jennifer & Beth, we thank you for your great comments and feedback! In the next week, we’ll create a page with links to our PowerPoint, our booklists, and the quiz, in case you want to borrow our ideas. 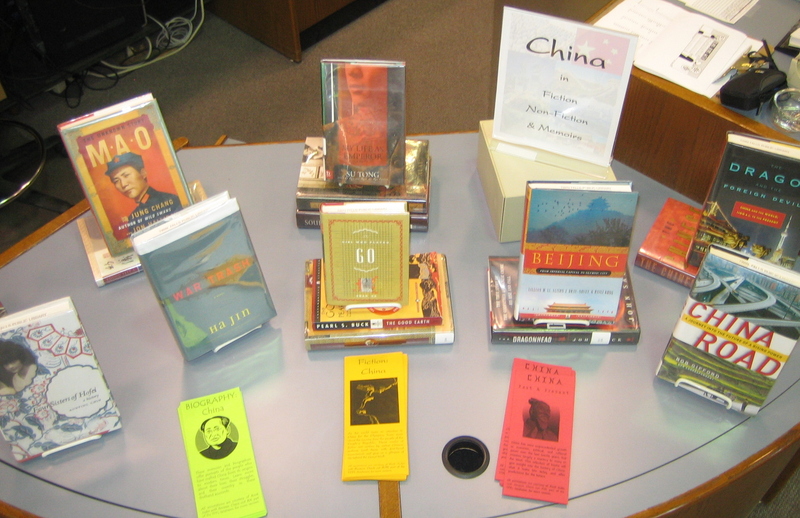 In the spirit of the Olympics, we decided to put together a display and recommended booklist of books about China. Included are works of fiction set in the country, memoirs of those who have lived there, and other nonfiction books that describe the customs, culture, politics, and economy. Stop by the Reference Desk for more information. And, if you’re curious about the Games, here’s the Official Beijing 2008 Olympic Games site.